"As part of the Administration’s ongoing commitment to help individuals experiencing mental health problems, today Vice President Biden announced that $100 million will soon be available to increase access to mental health services and improve mental health facilities." Read about the changes that will be delayed here. "Gov. Scott Walker's administration is delaying putting in place a new system to help determine who receives state BadgerCare Plus health care for the needy." U.S. House Speaker Nancy Pelosi speaks Wednesday during a rally for the Wellstone Mental Health and Addiction Equity Act outside the U.S. Capitol. "After more than a decade of struggle, the House on Wednesday passed a bill requiring most group health plans to provide more generous coverage for treatment of mental illnesses, comparable to what they provide for physical illnesses. The vote was 268 to 148, with 47 Republicans joining 221 Democrats in support of the measure." Steve Walters discussed new mental health laws in Wisconsin with state Representatives Sandy Pasch (D-Shorewood) and Erik Severson (R-Star Prairie) on November 6, 2013 at the WisconsinEye studio in Madison. Click here to find the webpage, click the TV icon to watch the video. "Issues on the federal website healthcare.gov are prompting Gov. 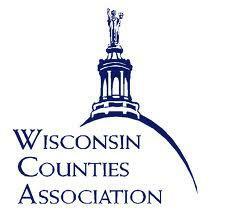 Scott Walker to propose a delay in his plan for health care in the state. The governor had proposed moving some 77,000 people off BadgerCare and onto insurance coverage purchased on the federal exchange to make room for other childless adults currently without insurance, all in lieu of a federal Medicaid expansion. Thursday, Walker said his plan needed to wait." When the Affordable Care Act ("Obamacare") was signed in 2010, it created the Pre-Existing Condition Insurance Plan (PCIP) as a temporary program to make health coverage available to uninsured people with pre-existing conditions until key parts of the law that preclude insurance companies from denying coverage (or charging more) based upon a health condition take effect in 2014. Coverage via PCIP will end on December 31, 2013 and that enrollees must enroll in a new health plan before December 15th to prevent a lapse in coverage. Do you have PCIP? Read more about the changes here. Check out this excellent write-up of one of the artists featured in NAMI Wisconsin's annual Healing Art Show! "Three of Daniel's [Kies] drawings are in the annual Healing Art Show, sponsored by the National Alliance on Mental Illness Wisconsin. 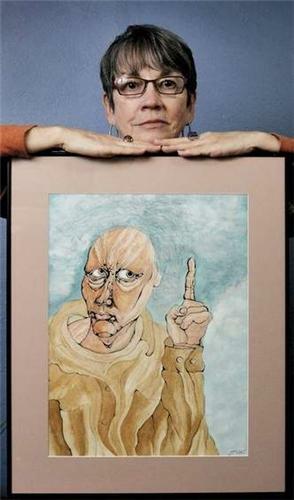 The Madison show features local artists who have experienced mental illness. Daniel was diagnosed with a cruel brain disorder known as schizophrenia and is one of six featured artists." "A legislative task force unanimously approved a sweeping batch of recommendations Wednesday to reform the state's mental health system, and the head of the Assembly said he wanted to take up some of those measures in November. 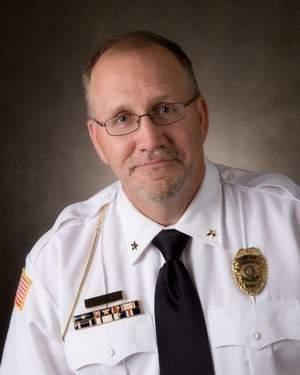 Among the proposals by the Speaker's Task Force on Mental Health are ones that would give professionals in the industry the authority to send people into emergency detentions, relieving police of bearing that responsibility alone." Read all the Task Force's recommendations here. This often overlooked section of the NAMI National website provides a wealth of resources for state and local affiliate leaders to strengthen their advocacy efforts! "The Obama administration released figures Wednesday suggesting that average premiums for health plans sold on the Wisconsin marketplace set up under the Affordable Care Act may increase less than previously feared." "The administration's figures includes individuals and families with incomes below 250% of the federal poverty threshold — $28,725 for an individual and $58,875 a year for a family of four this year. The tax credits drop sharply for those making above 250% of the poverty threshold." 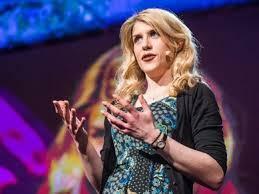 In a fascinating TED talk, Eleanor Longden discusses her experience with hearing voices and how she learned to balance medication with a therapeutic approach of trying to listen to and understand the roots of her voices, a method encouraged by the Hearing Voices movement.